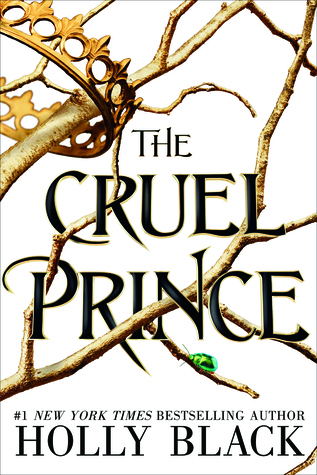 I finally joined the party and picked up The Cruel Prince by Holly Black. Both this book and the sequel The Wicked King were all over Bookstagram and I fell in love with the cover art. So, let’s see if The Cruel Prince can live up to all the hype! To be honest, I bought this book without really knowing what it was about. I fell in love when I saw the cover on Instagram and was completely convinced when I saw some fan art on tumblr. Well, Holly Black didn’t disappoint me! 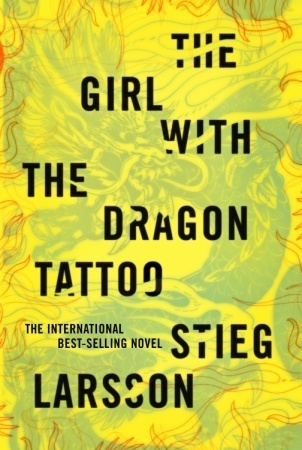 The story is absolutely brilliant and the characters are super intricate. If you decide to read The Cruel Prince, make sure you pay attention to every little detail, as Black really likes to hide little hints for huge plot twists! As I mentioned before, I picked up a bunch of books by Marissa Meyer. 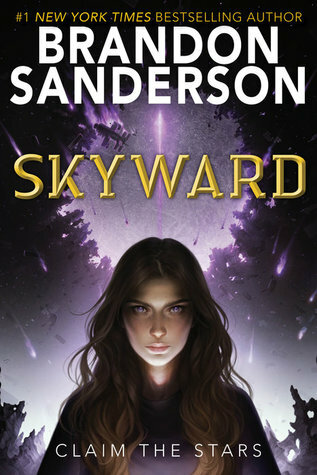 I already reviewed Stars Above and Cinder. However, not it’s time for something not related to The Lunar Chronicles. Let me introduce you to Heartless! Catherine might soon be the happiest woman in all of Wonderland. Rumor has it, the King of Hearts wants to marry her. What would fill most young women with excitement, only fills her with dread. She doesn’t want to be Queen, she doesn’t even want to be a lady. All Cathrine wants is to open her own bakery. I have a confession to make. I picked up Heartless without having the faintest idea what the book would be about. Honestly, I hadn’t even read the blurb. The Lunar Chronicles were fascinating, so I figured I’d also enjoy this book by Marissa Meyer and added it to my stack. 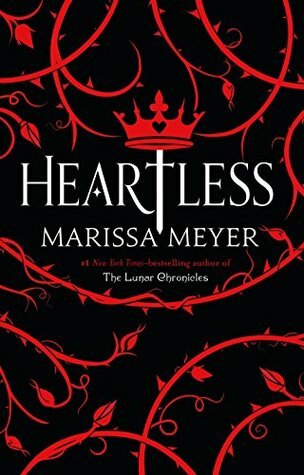 You can imagine, I was a bit surprised that Heartless is set in Wonderland (as in Lewis Carroll’s Alice in Wonderland). Once I had settled into the story, I just couldn’t stop reading. Marissa Meyer creating a capturing narrative that is unique despite being closely interspersed with something so famous. After I read Stars Above, I also had to pick up Marissa Meyer’s second book related to The Lunar Chronicles. So let’s talk about Fairest! 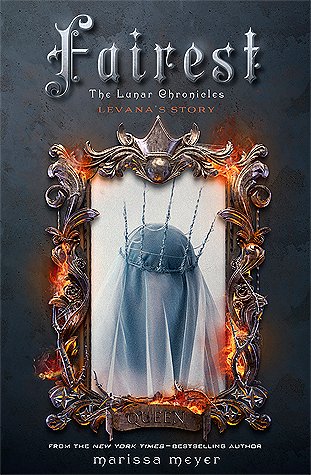 This book depicts the life of Levana, whom we encountered in The Lunar Chronicles. It shows us her childhood, relationship with her sister and Winter’s background. How did a sweet little girl turn into the evil queen? After reading Stars Above, I dialed my hopes down a little for Fairest. In all honesty, I expected it to be another filler, written for the fans to make some more money with a series that’s already finished. Fairest is actually a fascinating account of Levana’s background that is 100% worth reading. I don’t care if you hated Levana or rooted for her, pick up this book and check it out. 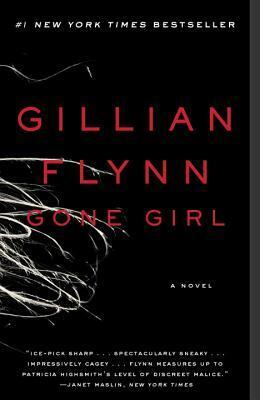 Welcome to another book review. A while ago I read Marissa Meyers’ famous The Lunar Chronicles series. Well, I decided to catch up with the other stuff she wrote, beginning with two books related to the series. The first one of those is the topic of today’s review. So let’s talk about Stars Above! Stars Above consists of nine short stories. 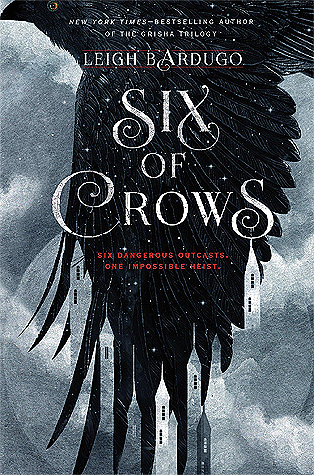 Eight of them are sequels or prequels to books in The Lunar Chronicles series or go deeper into events briefly mentioned there: how Cress landed in the satellite, Cinder arriving in Michelle’s care, Scarlet getting married, and many more. The only story not directly related to the familiar characters is The Little Android, which is a re-telling of Hans Christian Anderson’s famous fairy-tale, now set in the world of The Lunar Chronicles. I won’t go into detail for every one of the stories, instead, I’ll keep it short. 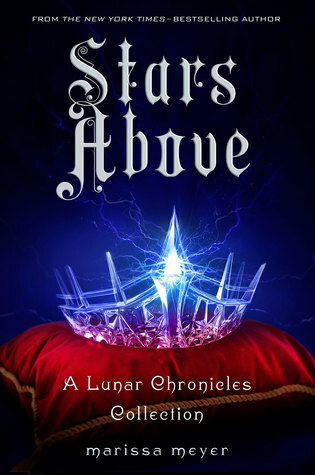 If you are a huge fan of The Lunar Chronicles, you will enjoy Stars Above. The stories are rather cute but definitely not a must-read. So, if you found the original books okay but were not completely blown away, I’d suggest you skip Stars Above. Chances are, you’ll be bored by the stories. Honestly, as nice as the little glimpses are, most of them are simply too short to offer much depth and thus didn’t really have any impact on me.